Kentucky doesn’t have the greatest reputation. It is nowhere near the coast, has no noteworthy cities or landmarks, and is mostly known for its fried chicken. Probably can’t even find Kentucky on a map. 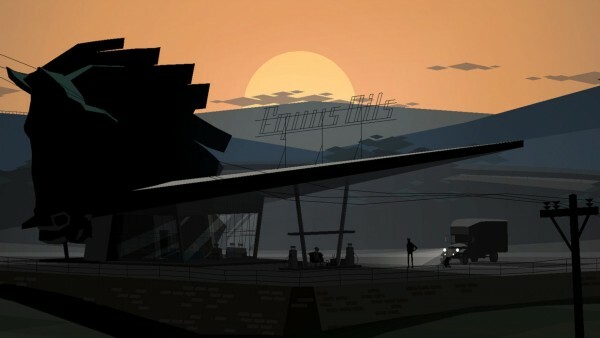 In a way, that makes it the best setting for Kentucky Route Zero, a new indie title that is so mysterious, dark, and creepy that it gives the state a whole new distinction. Although I guess that’s not so good for Kentucky. Now everybody’s going to think it’s a state full of ghosts and secret highways. The decision to set the game in Kentucky is one example of a way the people at Cardboard Computer added to the simplicity of their idea, and how each little piece of this game seems to be there for a reason. The setting adds to the atmosphere, and the atmosphere adds to the story and the characters, and that in turn ups your experience as a player. The developers wanted to tell a story and, dammit, they’re going to tell a great one. The effort pays off.